The English language is filled with Homophones and the pair ‘OF and OFF’ is a classic example. When two (or more than two) words have the same pronunciation but different meanings, origins, or spelling, we call them HOMOPHONES. Today we’ll understand the difference between OF and OFF. I know, both sound similar and you must be thinking that why does it matter if we add or remove one ‘f’? Well, it makes a big difference and if you think that similar sounding words have same meanings, please read the above-mentioned blog and the myth will be broken. Coming back to the topic, let’s learn the differences and uses of today’s homophone pair. • Ajay is a good friend of Rahul’s. • The Queen of England is an elegant lady. • He burnt a piece of wood to ignite the fire. • Put the plant in the south of the desk. • At the time of my marriage, I was only 20 years old. You can use this word in various situations but the underlying meaning remains the same that is some sort of separation, disconnect, absence, etc. • Sam ran off from the country. • I took a week off from the office. • Why did you turn the fan off? I just switched in on a minute ago? • The phone screen got the scratches because you took off the cover. So, that’s pretty much about the usage of the words OF and OFF. I guess you all are now very well aware of the difference between these two words. 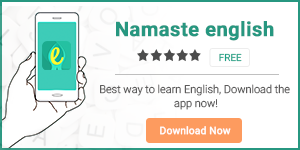 To learn more, keep reading the blogs and download our app Namaste English.